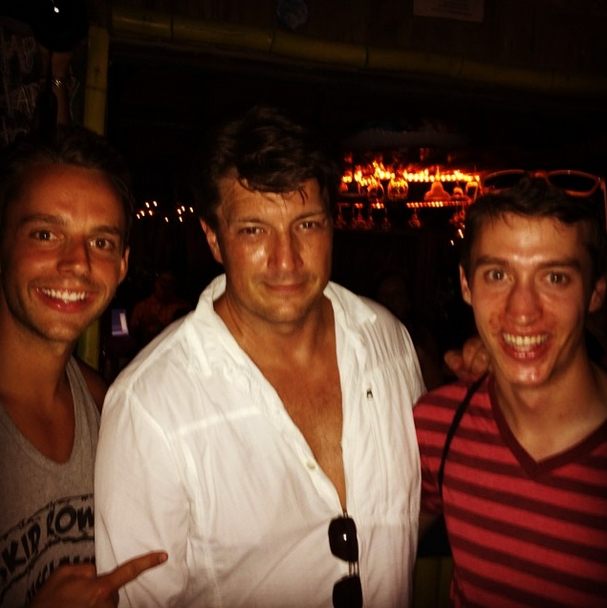 Nathan and fans(July,2014). . Wallpaper and background images in the Nathan Fillion club tagged: photo nathan rick castle. 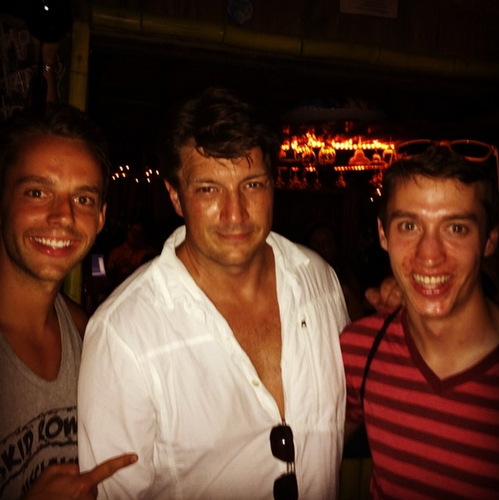 This Nathan Fillion photo might contain 餐车, 晚餐, 小餐馆, 火, 火焰, 地狱, 啤酒店, and 小酒馆.